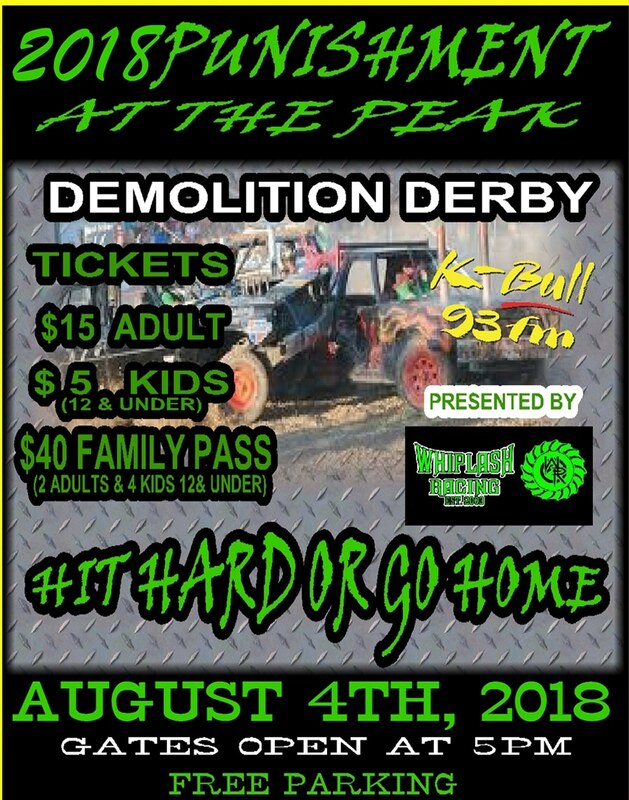 Come and enjoy the hard hitting face paced action of the biggest and best DEMOLITION DERBY in the state of Utah. This annual event at the Tooele County Fair draws drivers from all over the county to participate for top honors and dollars. Crowds are large excitement fills the air this is one event that is sure to please young and old alike. Gates open at 5pm and crowds are encouraged to get thereearly to get the best seat possible. A great fireworks show will follow at the end of the event. For more info call Del McQuiddy at (760)468-2524 at Whiplash Racing. Tickets are on sale at Smithtix, Maceys Tooele, both Soelbergs Locations. This is a great Family Event .. Sat Aug 4th at 7 pm. General admission opens at 5 pm and pit Gates open at noon.